Summer is just about popping its head out in the UK. 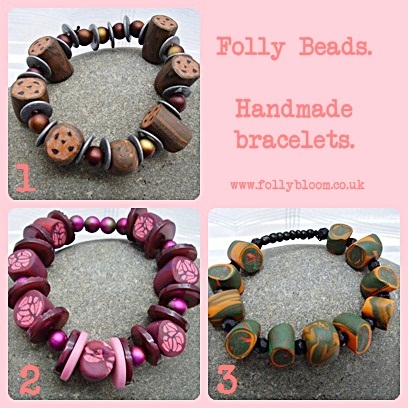 This is the influence for Folly Bloom and new handmade goodies. 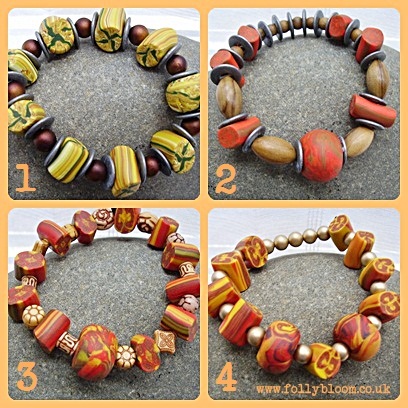 Folly’s handmade polymer beads are made with sun and sea in mind and all come out baked with a unique design on them which has been a fun way to work. 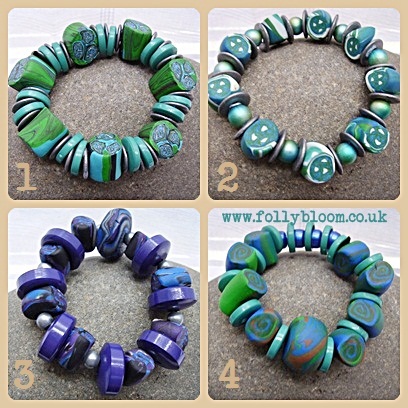 Each bracelet is then strung together with contrasting beads on an elastic cord which then fits most medium wrists. « UFO’s for the girls!